When we think of all the great musicians we’ve worked with over the years, Margaret Dorn goes to the top of the list. While she’s one of the most professional people we’ve ever worked with, the real pleasure in the end result is her rich talent. As a vocalist and arranger, she is at the top of her field. Enjoy the wonderfully sensitive piano arrangements and masterfully sensitive playing of these beloved hymns. 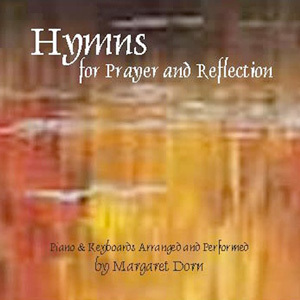 Hymns for Prayer and Reflection is a solo piano CD beautifully arranged and performed by pianist Margaret Dorn of favorite hymns. This music will add inspiration to your thought and peace to your life. Old and treasured hymns here have a fresh perspective of arrangement and grace.